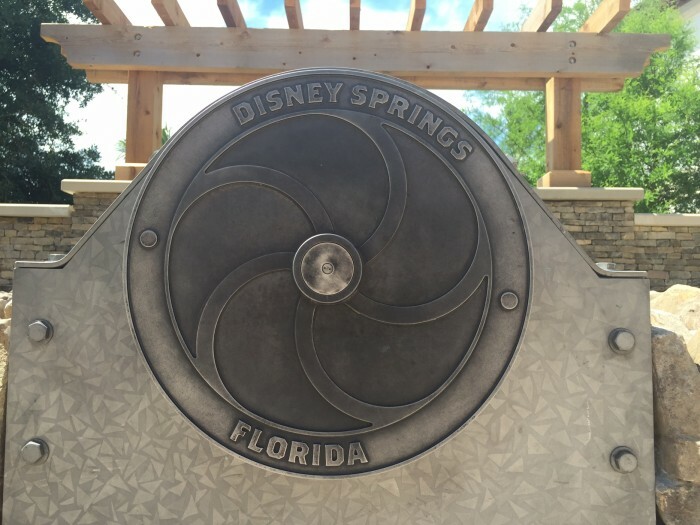 When I first heard the concept of Disney Springs, three years ago, I had a hard time adjusting to it. 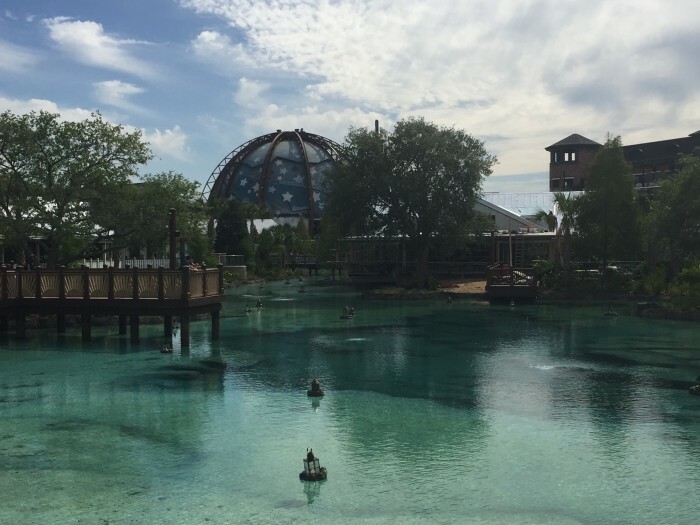 Downtown Disney has had its share of evolutionary challenges, but it seems to have finally come together and transform into a place people thoroughly enjoy visiting. 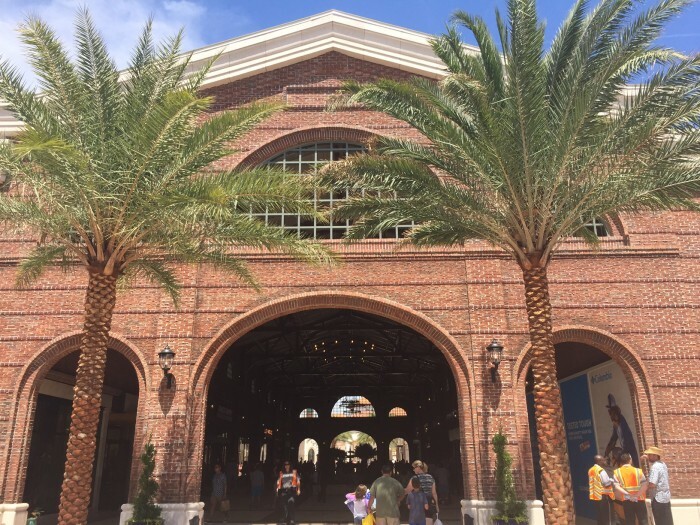 There are still some more stores and restaurants that have not yet opened, but with this weekend’s official opening of the Town Center, Disney Springs is practically complete. The Town Center brings something that we’ve not really seen in a world class theme park based vacation destination: a shopping mall. 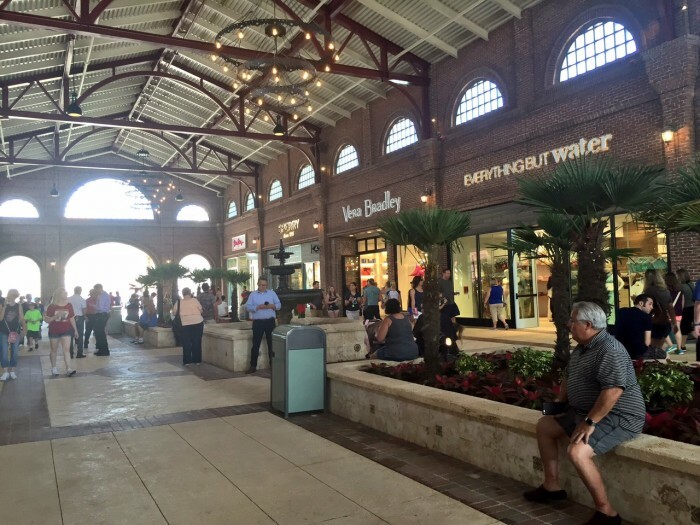 It is beautiful and lovely, but there is no denying that Town Center is a mall. And that’s ok. 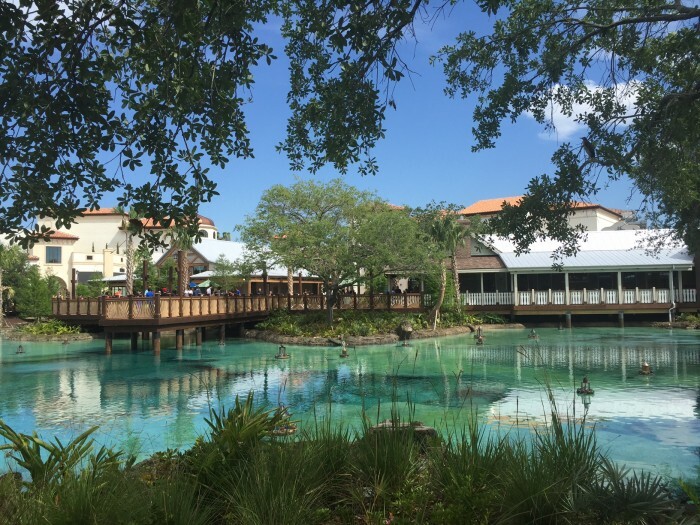 There seems to be enough demand for such a shopping experience on Disney property, and if shopping isn’t your forte, the atmosphere and design of Town Center are enough to enjoy, and then there’s the long list of dining options. 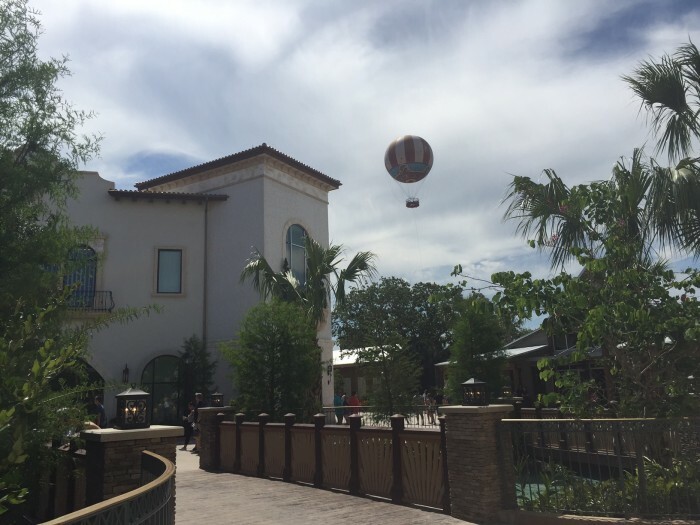 Let’s take a look at the first impressions of Disney Springs Town Center. We’ll also take a look at a few new dining and shopping locations that opened on the edge of the Marketplace and The Landing sections. 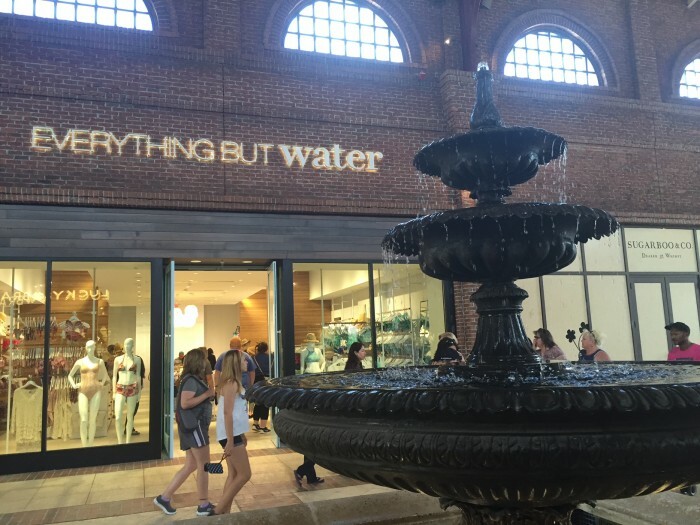 Besides the large amount of brand name stores, the springs themselves seem to be getting the most attention. 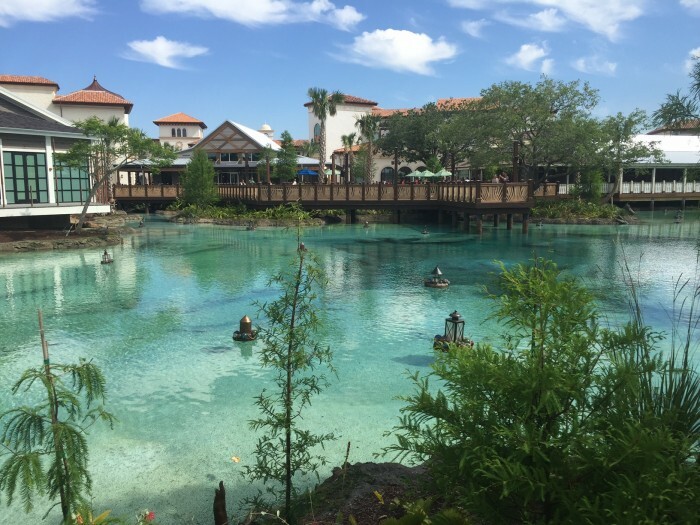 The crystal clear water of the Disney created springs winds through most of the Town Center area. It is incredibly picturesque. The atmosphere of Town Center revolves around these springs. It is difficult for me to wrap my head around the concept of Disney recreating an actual Florida freshwater spring. Sure, Disney has recreated hundreds of places around the world, but it feels different to me that the real thing is a very short drive down the road and in need of our help. I am proud that my lifelong home has such natural beauty and I hope this recreation of it inspires people to get involved and help make sure the real thing survives. Ok, native Florida rant is over, back to our regularly scheduled blog post. 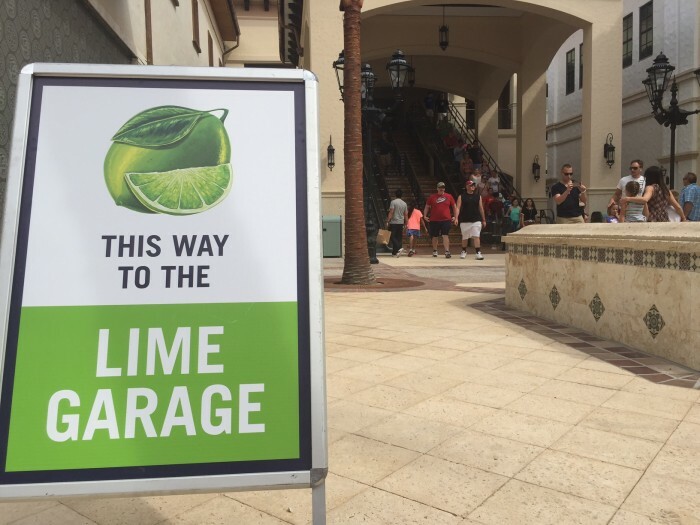 With the opening of Disney Springs Town Center comes the opening of the second parking garage: the Lime Garage. When parking at the Lime Garage you will be deposited in the middle of the shops of Town Center. This arrival experience has a very strong feeling of arriving at an upscale mall. I prefer the Orange Garage (especially since I usually arrive via I-4 West and there is a great exit ramp that leads straight into this garage). On opening day I actually parked in “surface parking” near DisneyQuest and Cirque du Soleil, known as the Watermelon lot. Each parking area is named after a different fruit that grows well in Florida. I wanted to see how Town Center blends in with the rest of Disney Springs. 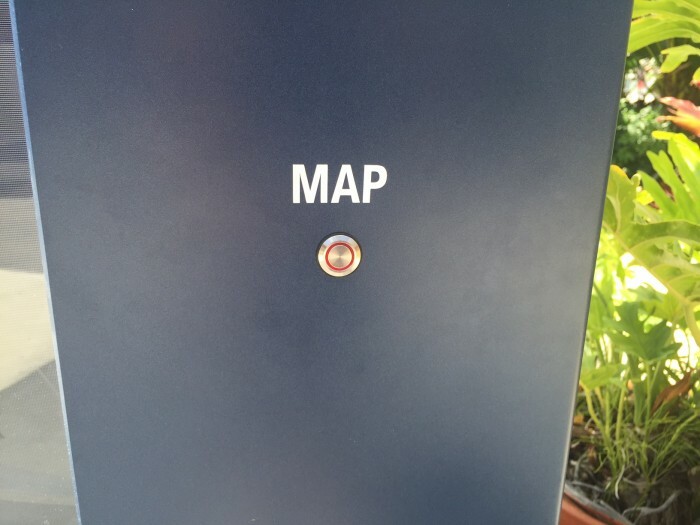 I quickly noticed the addition of digital advertisements and maps throughout all of Disney Springs. The screens at some of the directories are a little difficult to see in the bright Florida sunshine. Really when I stop and think about it, the arrival experience will vary greatly depending on where you are coming from and where you park at Disney Springs. 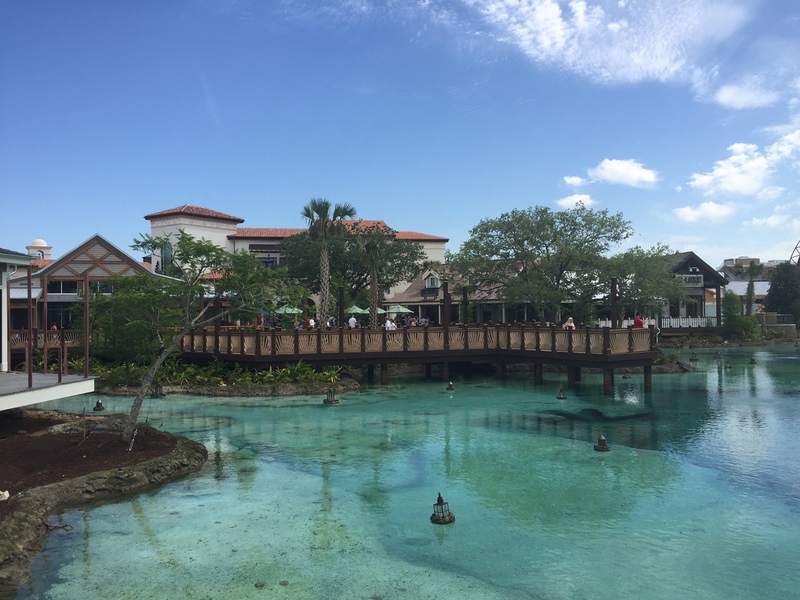 For example, if you are staying at Port Orleans Resort, Old Key West Resort, or Saratoga Spring Resort you can take a boat ride, with your first stop at Disney Springs being The Landing. If you’re staying at another Walt Disney World resort you can arrive by bus, with an all new mega-bus terminal opening soon at the Town Center. If you are driving then you’ll have a choice of two parking garages or a few parking lots near The Landing at West Side. 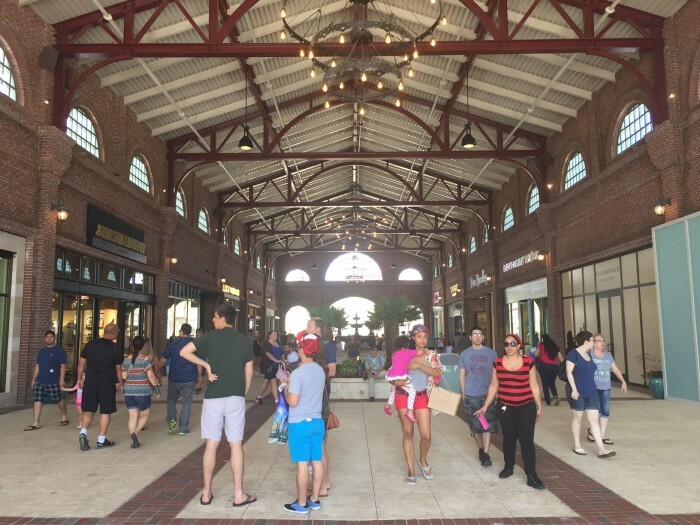 Before you get in the car and head for Disney Springs you may want to decide if the focus of your visit is shopping or dining. If it is shopping then park at the Lime Garage so you are near Town Center and Marketplace. If it is dining then parking at either Orange Garage or the surface parking near Cirque du Soleil so you’re closest to The Landing, which has the best dining in my opinion. Each section of Disney Springs flows well into each other, but they do have a distinct character. 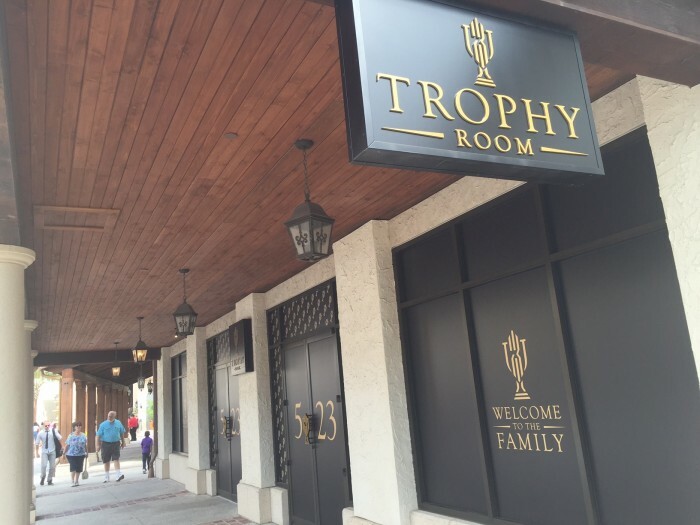 The shopping scene at Downtown Disney Disney Springs has never been like this before. 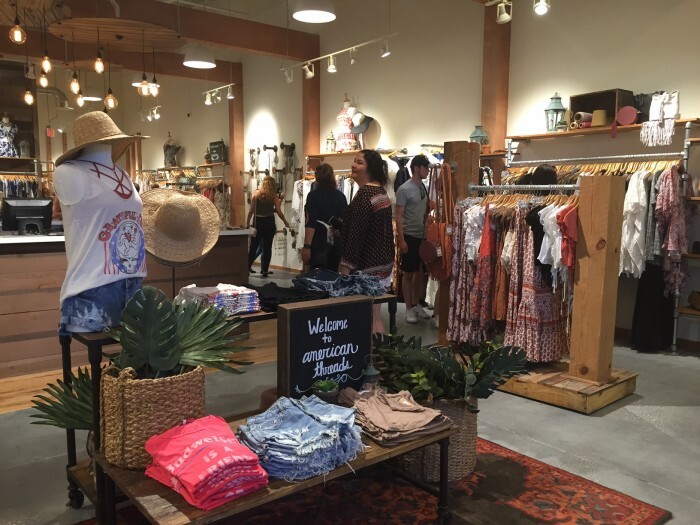 That is not to say that Downtown Disney did not have a lot of stores in the past, but the style of stores and the manner in which they are showcased is very different at Disney Springs Town Center. 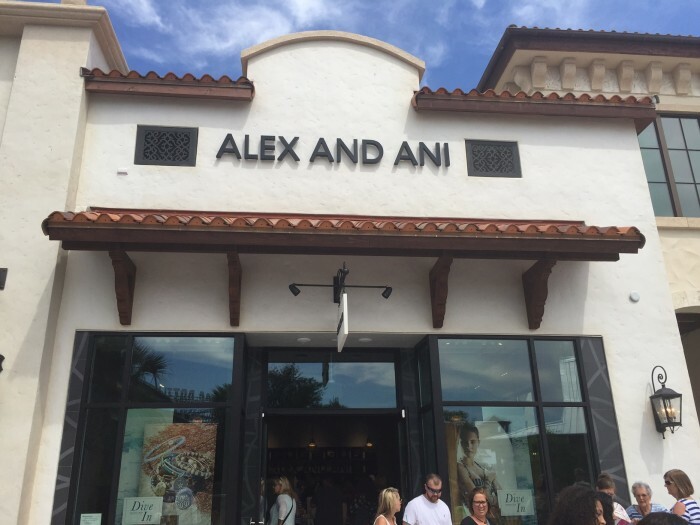 Over 20 stores have now opened at Town Center, each one a brand that you would easily find at any upscale mall. Walt Disney World has never had such a brand name heavy development before. The key to accepting this change is to remember the main demographics this selection of stores is geared towards. 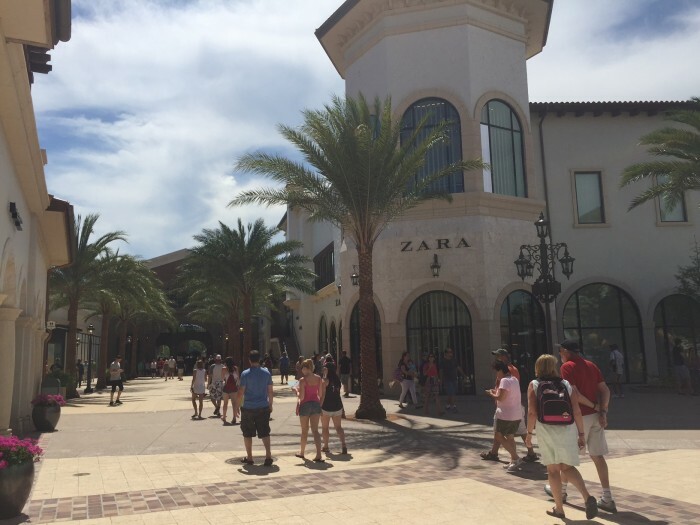 Locals like me aren’t the bread and butter for the shops at Town Center because we can easily head to Mall of Millenia, Florida Mall, Park Avenue, and the like. Additionally, major Disney loyalists may not have much interest in these brands either. But the casual Disney visitor and especially international guests are sure to enjoy the selection. 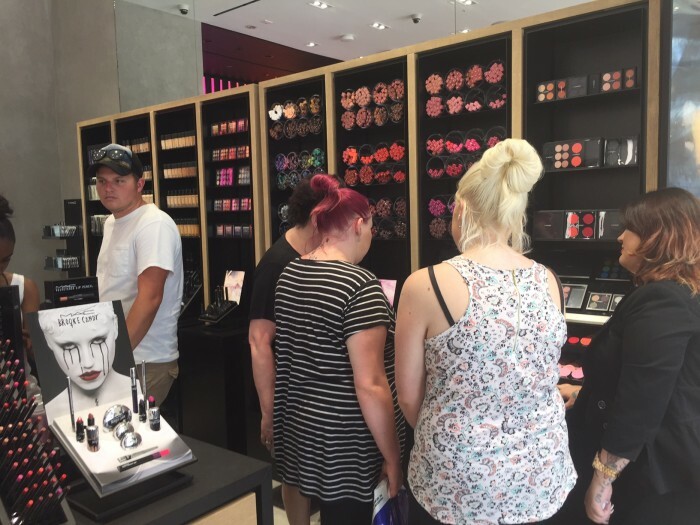 Zara, MAC Cosmetics, Sephora, Tommy Bahama and Alex and Ani seem to be some of the most popular stores so far judging by the crowds in these stores and the amount of shopping bags I saw in people’s hands. 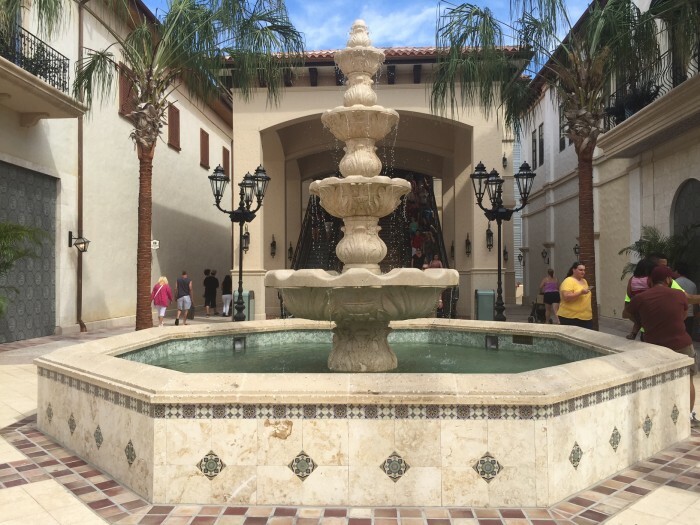 Town Center has a very attractive, Spanish inspired designed. The interior of these stores matches their unique brand, but felt elevated from what you’d see in a typical mall. There is covered area that is meant to represent a train station or transportation hub from the “early days” of this Florida town built on the banks of the springs. This area was my first introduction to Town Center since I came from the West Side. It definitely felt like the gateway into the retail mecca. One store I definitely want to come back to is American Threads. 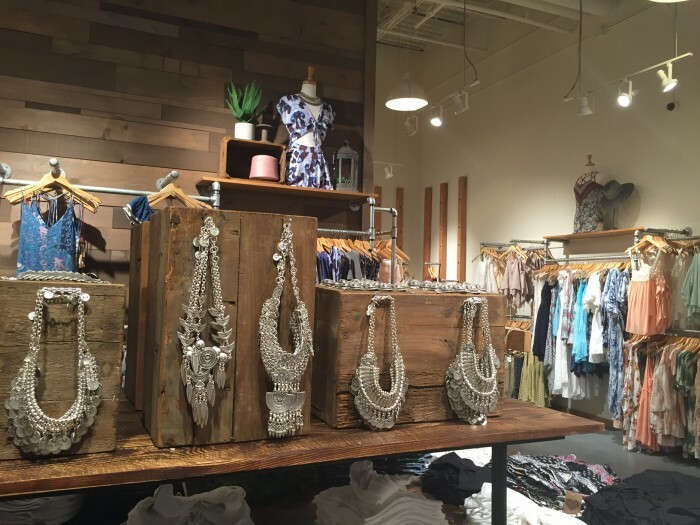 The clothing has a bohemian style, and the accessories are funky. Some items might be a little young for me, but there were some dresses that caught my eye, and some rings too. The prices were relatively affordable, in the $20 – $50 range. 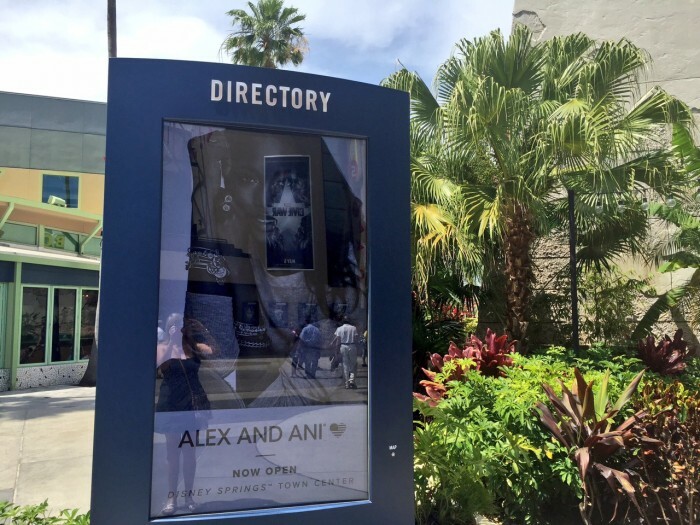 There is no doubt that Town Center was inspired by a multitude of upscale retail plazas such as LA’s celebrity sighting heaven, The Grove. 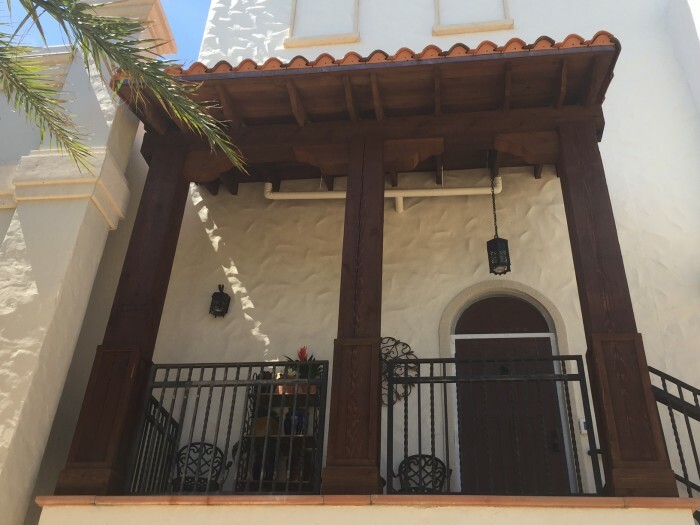 In some places it felt a little too beige and stucco, very un-Disney, but then there are other design elements that do give a sense of “Story” and theme. It is in those moments that it is unmistakable that this place is inside Walt Disney World. More shops are on the way. 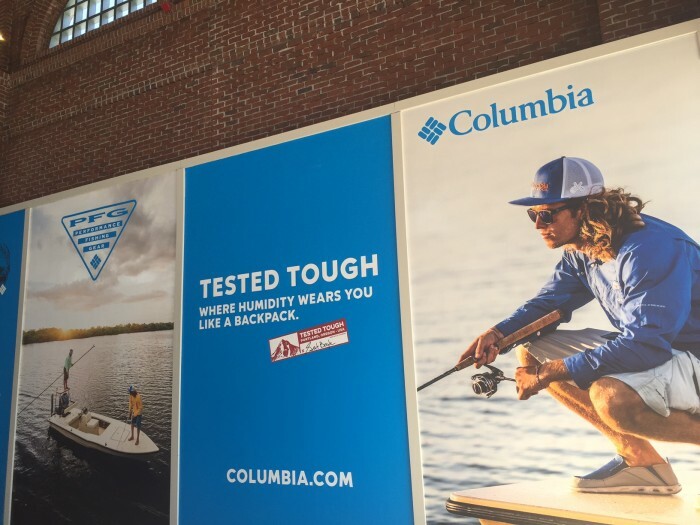 Seeing the in-progress store fronts with window wrap “coming soon” advertisements fell in line with the traditions of other retail centers. Personally there aren’t any that I can’t wait to see open, but I do think there is a good mix still to come. 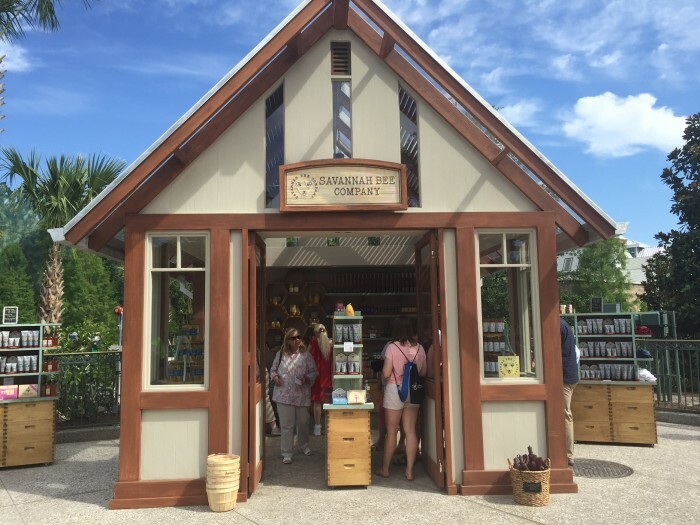 Two new mini-store / kiosks opened on the border of Town Center and Marketplace. I kinda like how Disney has added these little kiosks in the Marketplace area. It’s nice to browse through them without having to make my way in and out of a busy, crowded store. 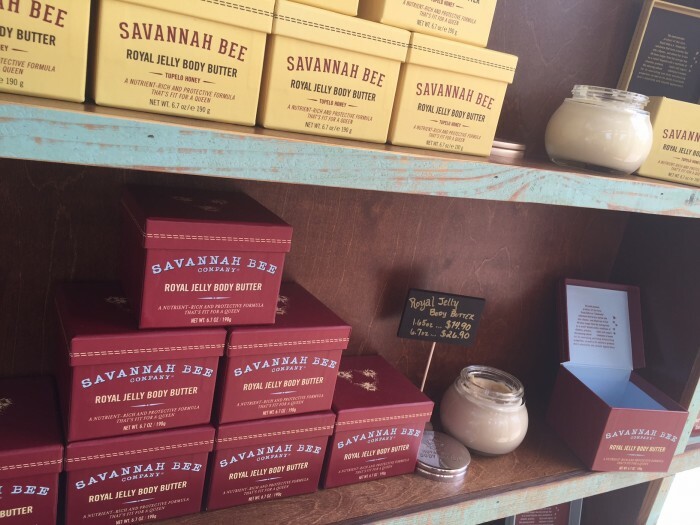 I’m excited to see the Savannah Bee Company – originally hailing from Savannah, GA. 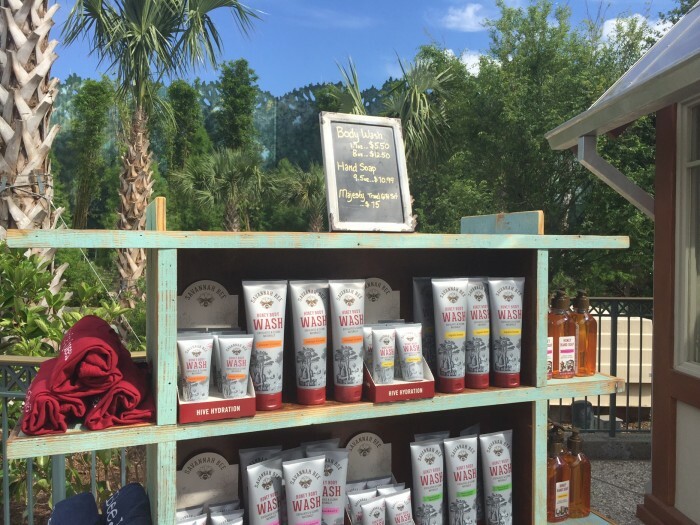 This is the first Florida location for this company. Their products are ever so slightly pricey, but I’ve heard great things about their products. 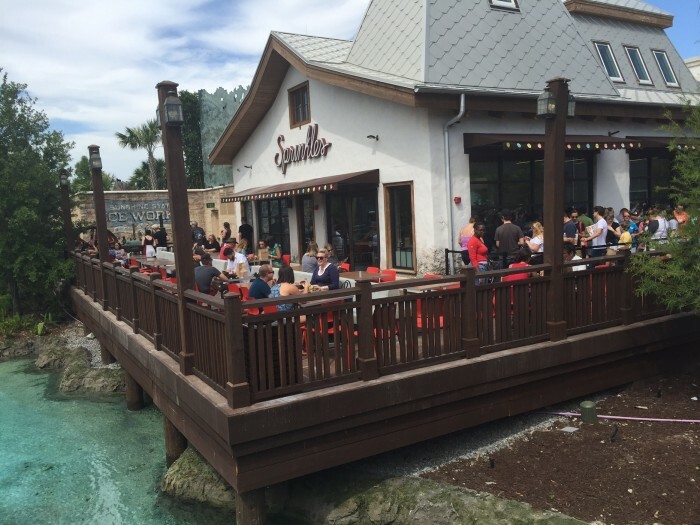 The incredible restaurants at The Landing have already sealed Disney Springs as a dining destination that rivals many culinary centers throughout Central Florida. 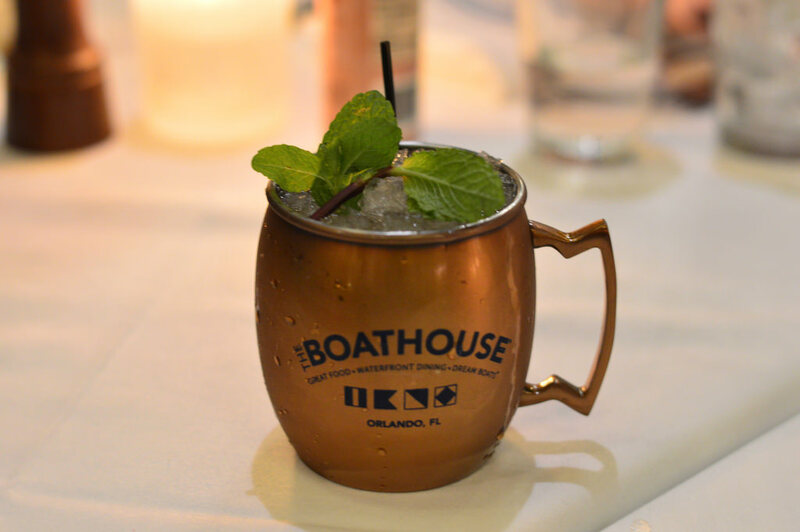 Everyone has their favorite restaurant at The Landing whether it be THE BOATHOUSE, Morimoto Asia, or perhaps there are those that are awaiting the arrival of upcoming places like STK, or Chef Rick Bayless’ Frontera Fresco. Personally, I am chomping at the bit and can’t wait to sink my teeth into Chef Art Smith’s Homecoming: Florida Kitchen and Shine Bar. 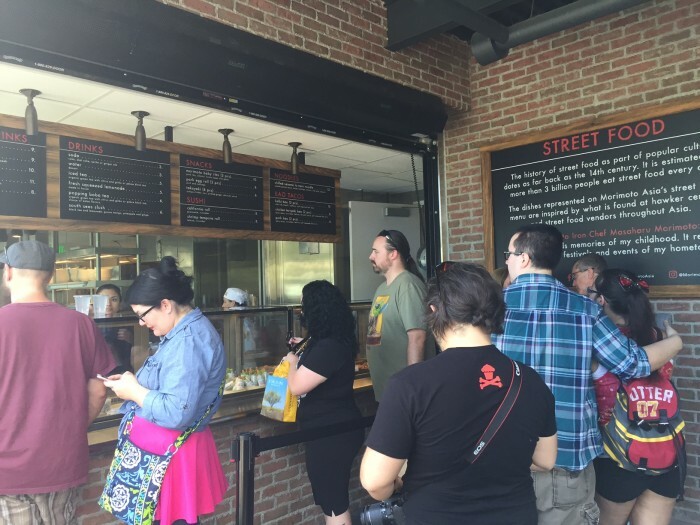 The opening of Town Center brought forth nearly ten new places to grab something yummy to eat, some of which border Town Center in the Marketplace and The Landing. Visiting on opening day proved to make it challenging to visit and try out as many of the new dining locations as possible. 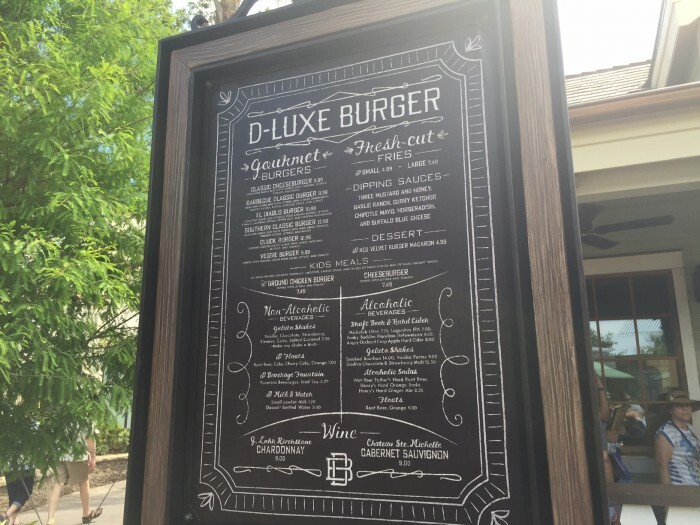 The Disney owned and operated “better burger joint,” D-Luxe Burger has definitely gained everyone’s curiosity. For the most part, those that have dined here have reported satisfactory ratings, reporting that the fries and sauces are a must, as well the sweets. The burgers are pretty well received though there have been some concerns with the cooking temperature, so if you have any concerns with burgers being on the pink side then ask it to be well-done (though don’t be surprised if they overdo it). The greatest area of concern is that there are only two registers. It is difficult for me to go with a burger joint when there are so many unique tastes available at Disney Springs meanwhile there is some sort of “better burger joint” every 3-5 miles in Central Florida. 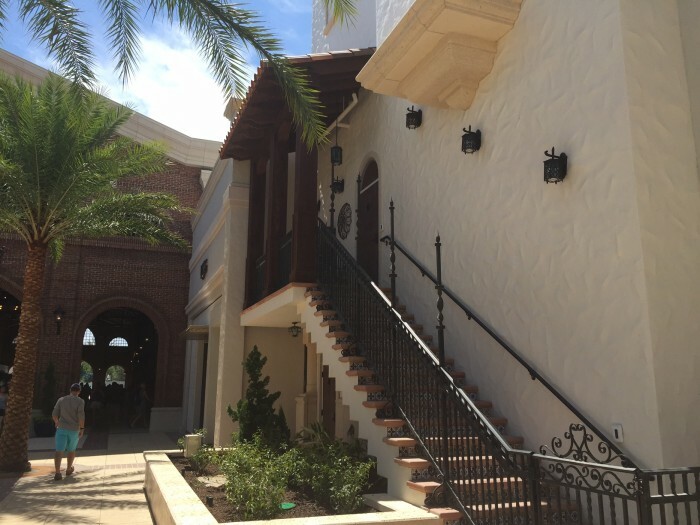 Some of the dining establishments in Town Center are meant to represent homes that were once occupied in the early years of the springs settlement. I love how many of the buildings have porches. 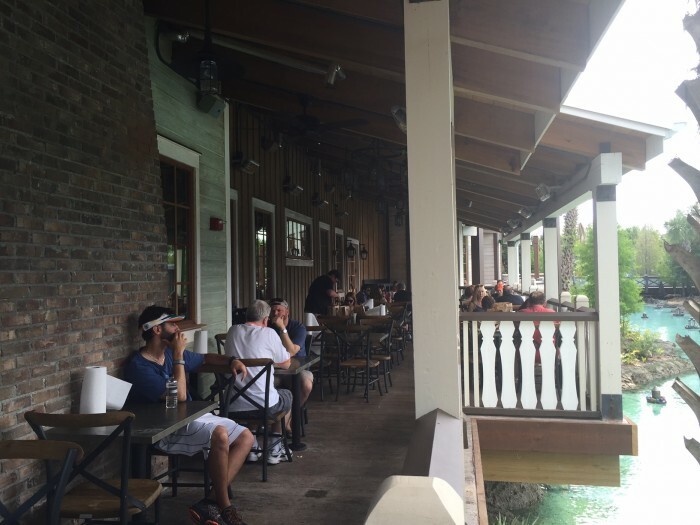 Almost all of the larger dining locations have outdoor seating areas. This include Sprinkles, the cupcake mecca that also serves ice cream and cookies, and is an immediate smash hit! I opted not to wait in the long opening day lines at Sprinkles. But I do think this place is well worth a visit, and I might even give their delivery service a try! They apparently will deliver up to a 100 mile radius and can also do custom orders for all kinds of special occasions. Since everything was so busy on opening day, I ventured back over the bridge to Morimoto Asia to try their brand-new Street Food, quick service option. I am a big fan of Morimoto Asia and had hoped that the quality would not drop off with the quick options. I have become a big fan of bao, which are soft steamed buns. 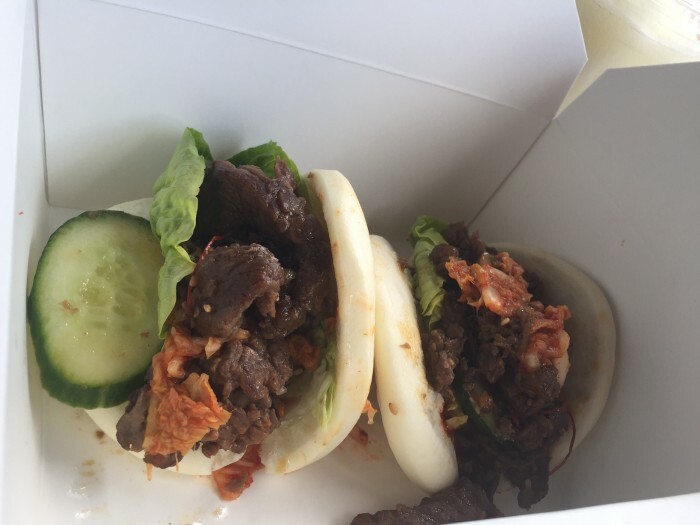 I was tempted to go with the Pork Bao Tacos ($8.00) because the version that is served inside is one of my favorite things ever, but I decided to Kalibo Bao Tacos ($10.00) because of the beef short rib meat and the kimchi. 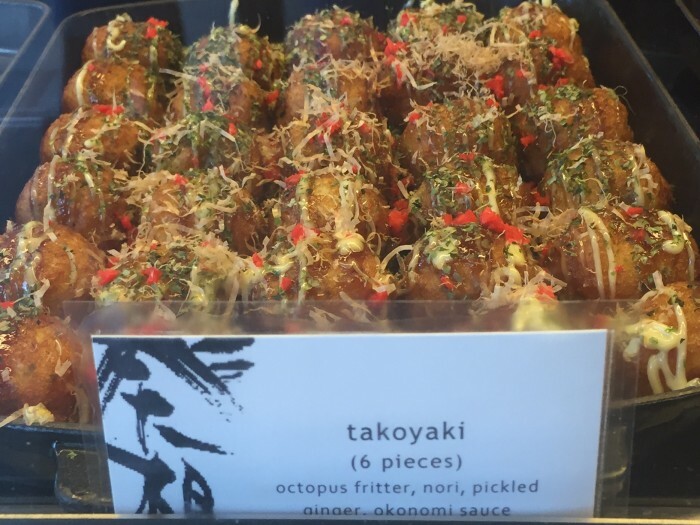 Feeling adventurous I also ordered the Takoyaki ($6.00) which is a popular snack in Japan, or at least that’s what years of watching Travel Channel has taught me. The food was very flavorful and overall very good. 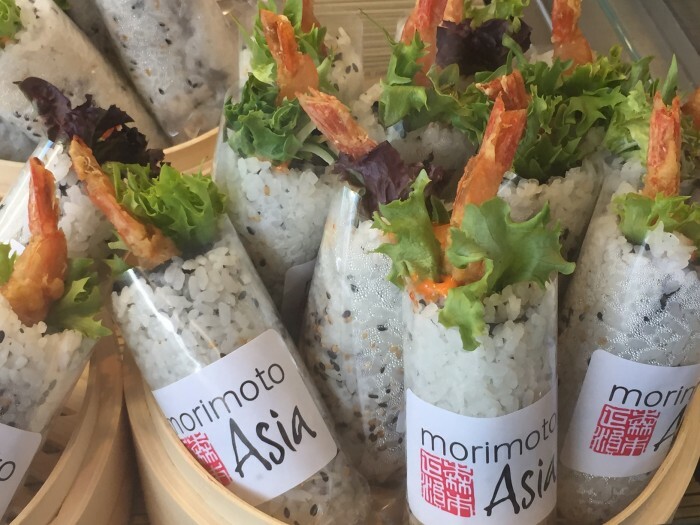 If you have dined at Morimoto Asia before you can definitely tell the difference in the quality of the full service food vs. the quick service food – understandably so. 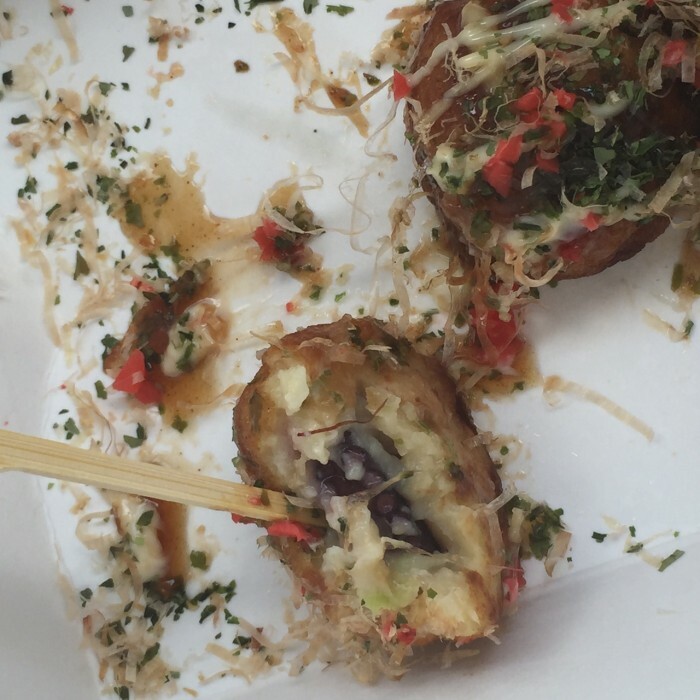 I am an adventurous eater, but I don’t see myself order the Takoyaki again. It was extremely flavorful, and I don’t mind the squid too much, but the texture of the entire bite felt weird. As for the bao tacos, I missed the soft tenderness of the buns that comes from them being serviced in a steamed, dim sum basket inside the restaurant. Oh and make sure you grab napkins at the register, there is no place to get them in the uncomfortable sitting area. 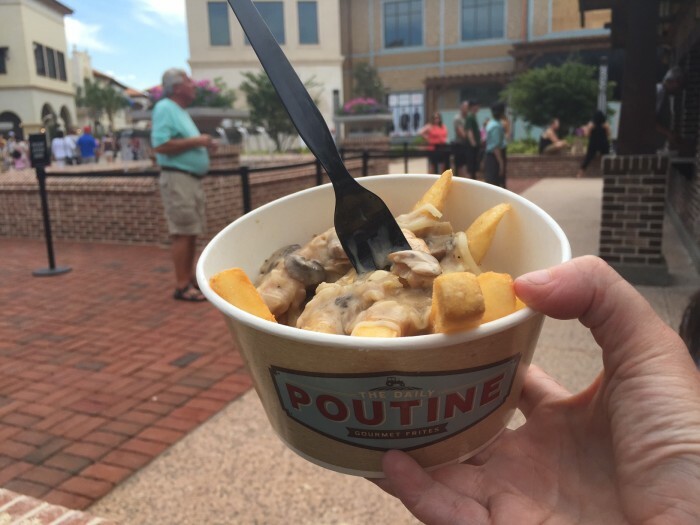 Back over at Town Center, later in my visit, I visited The Daily Poutine. This walk up kiosk is an early hit. 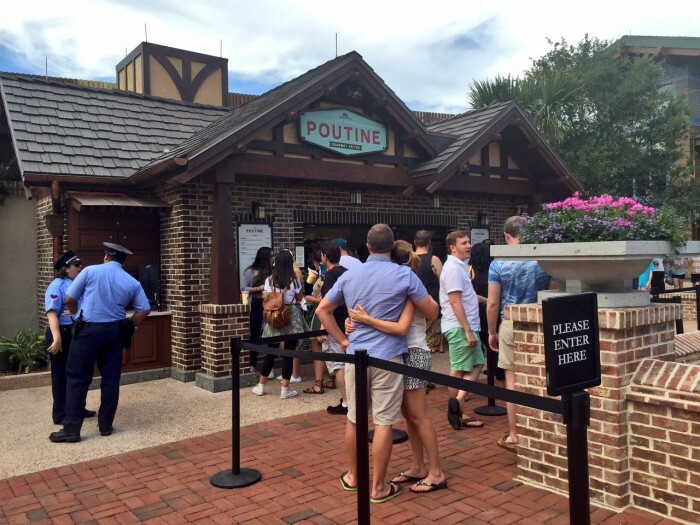 It seems many Disney fans have been waiting the arrival of poutine, a French-Canadian “delicacy” of french fries topped with gravy and cheese or cheese curds. You can enjoy this flavor combination by ordering the Traditional style here ($8.49). I went with the French and Latin styles, and paired each with a beverage. It is important to note that The Daily Poutine has two lines, and you can order from either side, so go with whichever side is shorter. 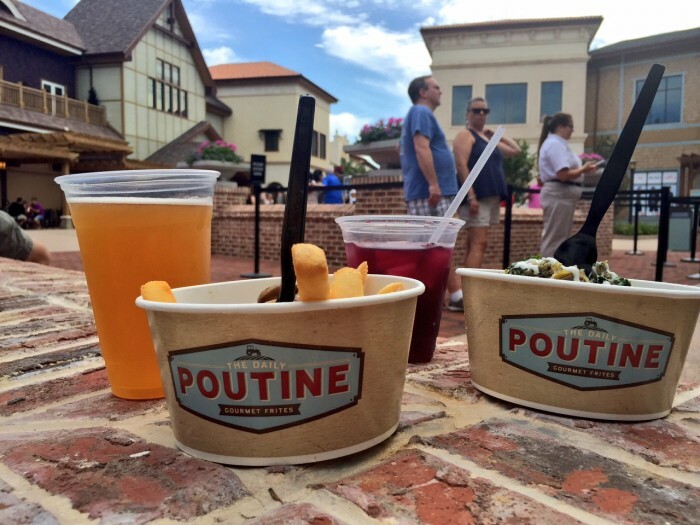 The Daily Poutine is at the edge of Town Center, officially in the Marketplace area, behind the Lego store. The French style ($8.99) is rich, savory, and creamy. The fries are topped with an indulgent creamy mushroom sauce and then gooey Guyere cheese is added. I paired this with the Canadian beer, Unibroue Blanche de Chambly Witbier ($11.00). This is a divine pairing! 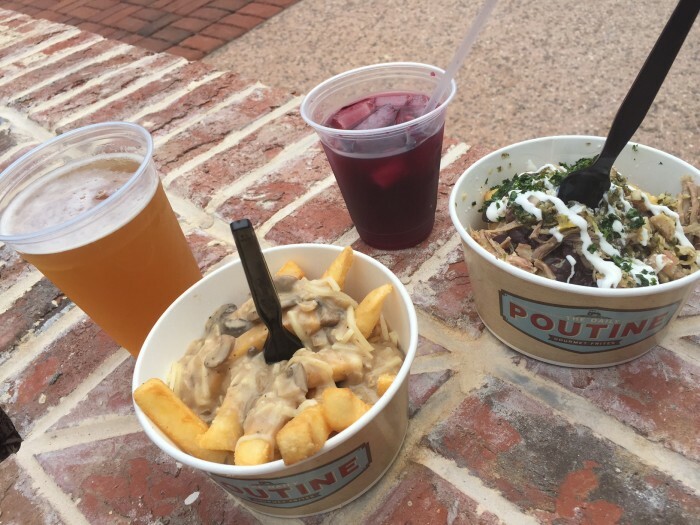 The surprise hit of The Daily Poutine seems to be the Latin style, though it is no surprise to this Florida girl who has grown up enjoying Latin flavors. 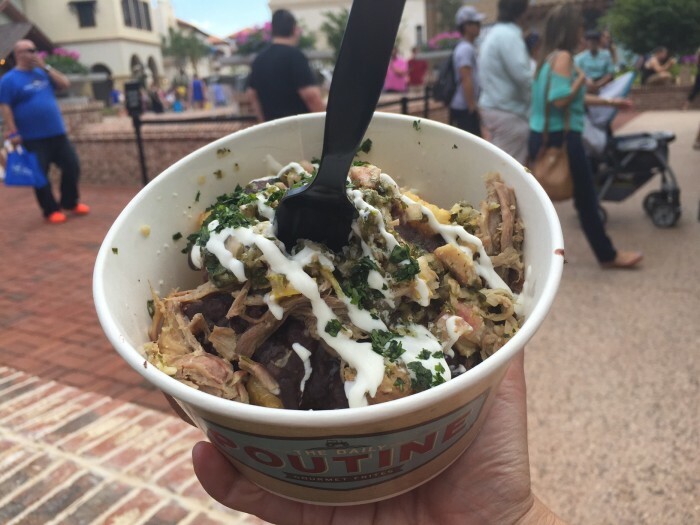 Yuca fries are topped with slow cooked black beans, tender pulled pork, a garlic chimicurri sauce, and queso fresco. Yuca is a starchy root vegetable that is thicker than a potato, and to me has a richer flavor. At $9.39 this is a decent meal option, very satisfying! I paired it with the Fireball Sangria ($9.99). I wanted to like this drink, but I didn’t, and it appears I am the minority. I’ve had plenty of sangria in my life and have had a few pitchers of the real deal in Barcelona, Spain – where there is typically a heavier use of spice. The Fireball Whisky somewhat mimics the spice that I am used to in traditional sangria, but it still didn’t taste quite right to me. The Daily Poutine is a hit, and I’ll definitely be back. Though there are no tables and chairs in the area, the same goes for another early hit, the B.B. Wolf’s Sausage Company. I wanted to try Amorette’s Patisserie before the day was over, but unsurprisingly the line was quite long. So I did a drive-by gaze at the beautiful creations, made in-house each day! I have already heard great things about the quality here and I look forward to coming back to indulge in some artfully created sweets… and champagne. I’m already a fan of Disney Springs. It has be gratifying seeing a place that lost its identity when it tried to copy CityWalk and got rid of the ticket turnstiles for Pleasure Island. And, the awkwardness of West Side has been a struggle for years too. 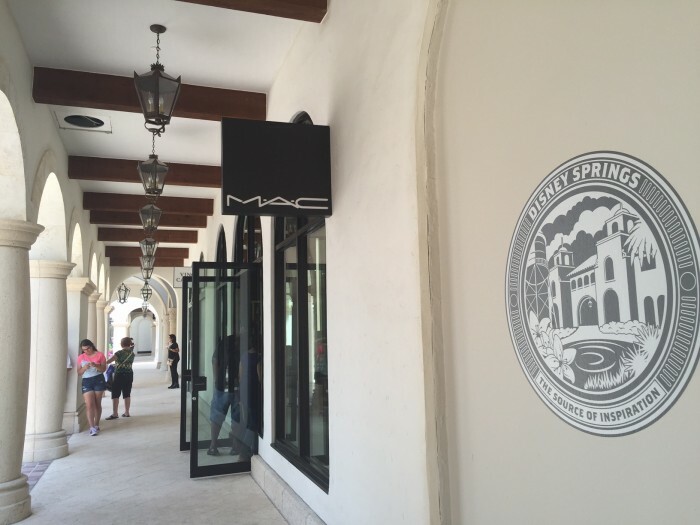 With the addition of Town Center, Disney Springs feels complete. I can definitely see myself coming back whether on my own or with friends and family. I actually can’t wait to see Town Center during the holiday season. It seems that even though more stores and restaurants are still around the riverbend, Town Center has completed the vision of Disney Springs. Thank you for spreading awareness of the plight of our freshwater springs in Florida! On my last trip to Disney in 2007, I had a great time at Downtown Disney and bought a lot of Disney-themed souvenirs. I was back twice on our trip May 6-11 this year and didn’t buy anything, nor did I really want to go into any stores except the Lego stores. 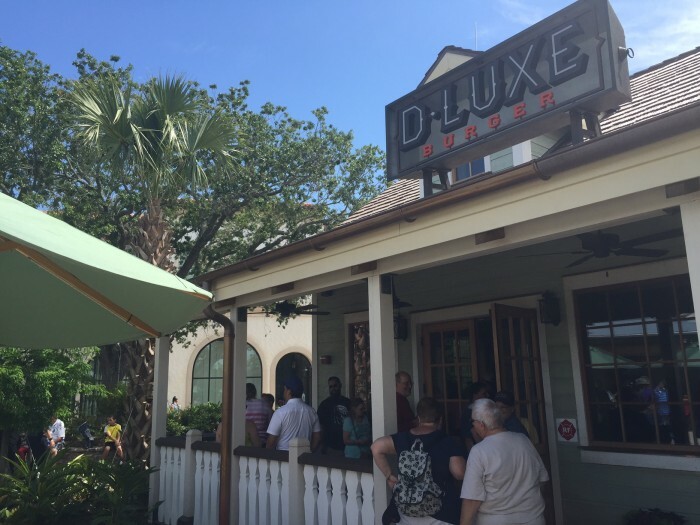 I’m not the target audience for this area as I don’t generally eat at sit-down restaurants at Disney, nor am I there to shop at high-end stores I can visit in my hometown, so I find the changes a bit disappointing. I am sure they will be profitable for the company, though, and I hope international visitors enjoy the shopping. Most of the Disney merchandise stores in the Marketplace are still there. So if you enjoyed buying Disney stuff in 2007 you can still do that in Marketplace now. The only thing that has disappeared compared to 10 years ago are the nightclubs. Even if I’m not on vacation to go shopping, I’d admit that the new area seems very aesthetically pleasing and relaxed. Plus, with about 1374 dining options, I’ll definitely be checking it out on my next visit in June.